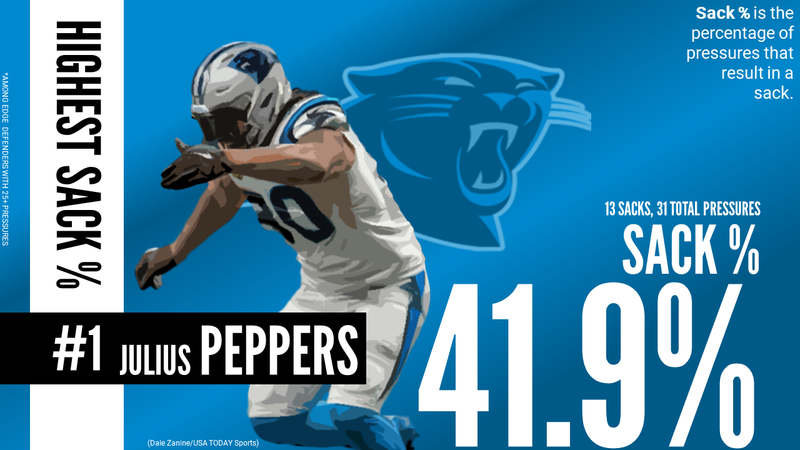 The Carolina Panthers made it to the playoffs in 2017 despite finishing with middle-of-the-pack grades in nearly every facet a season ago, including an 18th-ranked defense and 13th-ranked offense by PFF grades. Arguably their biggest area of concern was a secondary that finished as the 28th-ranked unit in football a season ago, and a unit that they attempted to bolster with the signings of CB Ross Cockrell and S Da’Norris Searcy this offseason. Carolina also brought in former division-rival in DI Dontari Poe from the Atlanta Falcons, former Vikings players in WR Jarius Wright and G Jeremiah Sirles while they re-signed kicker Graham Gano and future Hall of Fame edge defender Julius Peppers. All told however, the Panthers lost arguably the league’s most sought after free agent commodity in March as G Andrew Norwell signed with the Jacksonville Jaguars on the richest deal ever given to a guard. They also lost S Kurt Coleman (Saints), DI Star Lotuleli (Bills), RB Jonathan Stewart (Giants), TE Ed Dickson (Seahawks) and CB Teddy Williams (Giants). With this turmoil in terms of player turnover so far, what do PFF Senior Analysts Steve Palazzolo and Sam Monson think of their offseason so far?